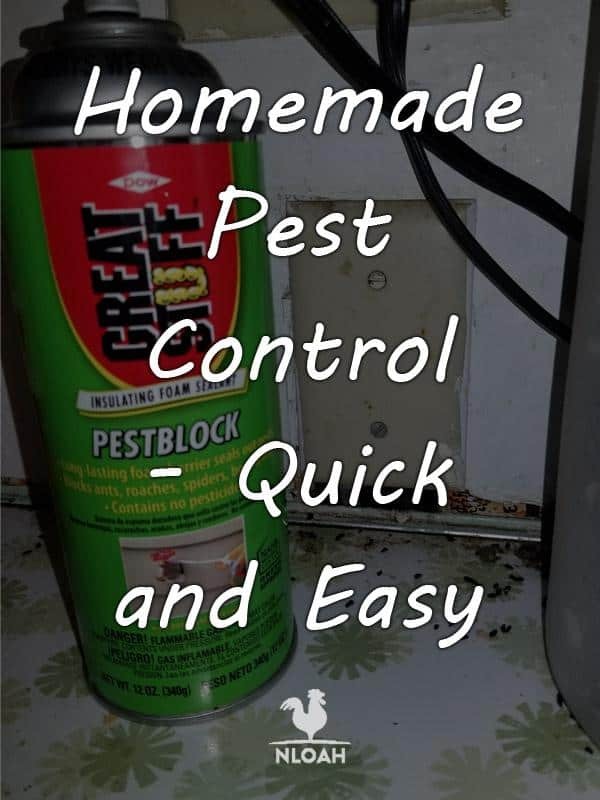 If you’re having issues with pests in your home, you’ll be happy to know that there are many great homemade pest control remedies for keeping them out of your home. Sometimes it seems that no matter how clean you keep your home, they’re still there annoying you. Don’t panic, there are some great ways to deal with these creatures and the remedies won’t break your wallet. You won’t have to utilize strong chemical formulations that can harm your family and your pets to keep mice, crickets, ants, and other pests out of your home. You’ll also save a lot of money by using homemade products. With a little bit of creativity and ingenuity, those pests will go elsewhere and pester someone else. 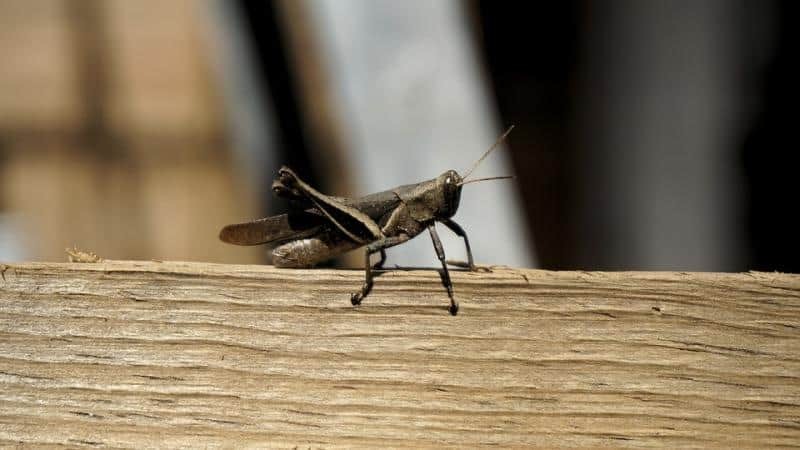 While crickets are revered in many cultures, with people believing that they’re good luck or a perfect setting for a love story, they can also be very annoying. Chirping and singing at all hours, especially when you’re trying to sleep. More than one person has been known to creep around the house at night in search of that annoying cricket sound. 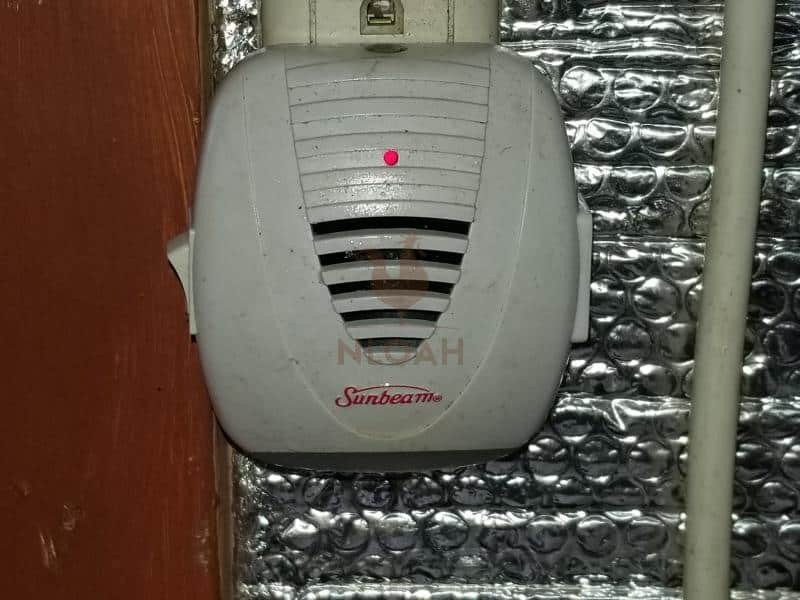 While they’re outside the door, it’s not as big of an issue, however, when they’re in the house, it can become quite annoying and even more challenging to try and find the chirping insect. Naturally, when you turn the light on to go searching for them, they maintain their silence. As soon as you turn off the light and settle back down, they’re at it again. Before you resort to heavy-duty chemicals, before you get so desperate and sleep deprived that you load the shotgun, try these remedies. Remember, crickets also fall prey to old age in the late summertime. To fully understand the cricket, you need to know that they start by emerging from their eggs in the soil and spend the winter months here. Nymphs later emerge in late spring and subsequently resemble the adult cricket that will begin to annoy us as the summer progresses. They get their wings about 90 days later. This is when you begin to hear them. It’s actually the rubbing of their wings together that you’re hearing and becoming annoyed by. Find the entry. Start by learning how they enter the home. This may take a bit of detective work. They can enter the home via cracks and crevices in the foundation. They can waltz right in while you’re loading in the groceries from the car. They can even hitch a ride on the kids, pets, toys, wood, or anything else that may have been in the yard nearby and gain entry into your home. When the kids leave the door open they can also enter the home. Seal things up nice and tight to keep them outside where they belong. Teach kids to brush themselves and pets off briefly before entry and teach kids to close the door. Clean Up! At night they will emerge from hiding to nibble on crumbs left on counters, floors or unwashed dishes. They will sneak into pet food dishes and even nibble on plants. Even dirty laundry in an open laundry basket is good to nibble on. The males will chirp incessantly to call a mate. Now you’ve identified the gender of your cricket. 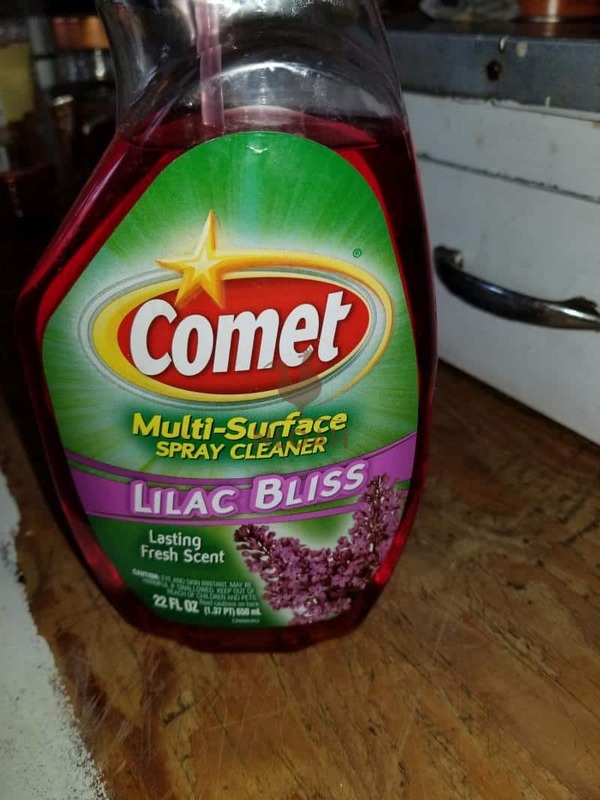 Wipe counters down with a good cleaner that incorporates lavender, citronella, red peppers or any other strongly scented cleaner. They don’t like the strong scents so tend to avoid these. Fill crevices and cracks in with spray foam insulation designed to keep pests out and warmth in. Apply weather stripping and good door sweeps for all indoor-outdoor doors. Use caulk where needed. Patch window and door screens to reduce the chance of crickets sneaking in that way. Look at it from the perspective of the cricket, what would make a good way to get inside and dine on crumbs? Use bug lights. These will zap the crickets when they attempt to fly to the light. It will also reduce their flocking to the lights for warmth. You can find bug lights online for reasonable prices or you can go to your nearest home improvement store and buy a few. Create your own version of pepper spray. Simply simmer ½ cup of red pepper flakes in 2 cups of water for a few hours. Strain and pour the ensuing liquid into a spray bottle. Spray behind cupboards, in all nooks and crannies, along baseboards, door frames (especially lower door frames), and anywhere else that they may be sneaking in. You’ll need to refresh this every few days to a week but it works very well. The peppers penetrate their exoskeleton and dehydrate them. 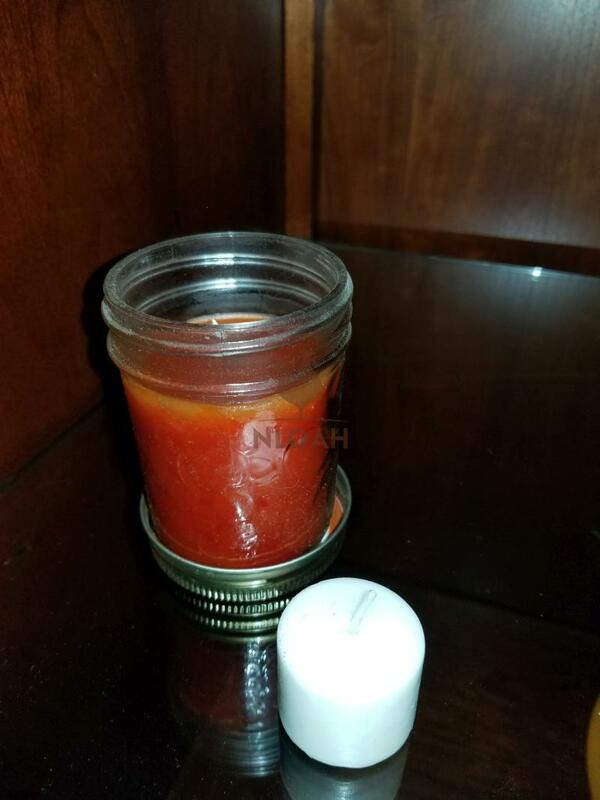 You can even sprinkle red pepper flakes or cayenne pepper around crevices, behind counters and underneath of stoves, refrigerators, underneath of the kitchen sink, and other locations where they frequent. They’ll avoid areas where they smell peppers and you’ll have a chirp-free home. Everyone knows the feeling, you’re sitting quietly reflecting on your day when suddenly, out of the corner of your eye, you see something dart across the floor and underneath of the stove or the refrigerator. Was that a mouse? At some point in time or another, everyone deals with a mouse in the house. Unfortunately, If you see one mouse, there can be many more lurking in the corners waiting to dark across the room. 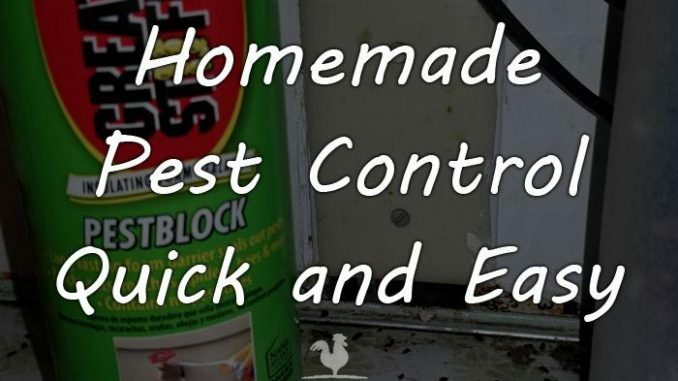 Here are some great homemade pest control methods to get rid of the creatures without resorting to poisons that may harm your children and pets. Dryer Sheets. Those pesky little critters hate the smell of dryer sheets so stuff used dryer sheets in nooks and crannies where they may be sneaking in. Underneath of the refrigerator, behind the counters, underneath of the kitchen and bathroom sinks (they’ll also help these rooms to smell fresher). The smell will help to deter them and they won’t chew through the material. Steel Wool. Steel wool also works to help stuff those nooks and crannies and will deter the creatures. They won’t chew through this either. Better yet, combine steel wool with the dryer sheets and double protect your home. Get a cat. 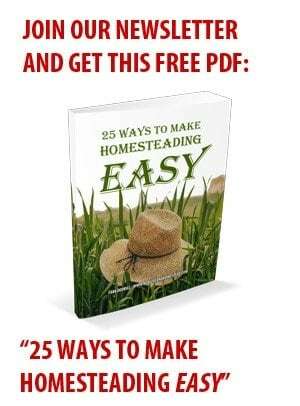 Borrow a cat or grab a cat from the barn and tell him that you have a mouse in the house. Take him or her into the house and set him or her in front of the stove or refrigerator. His or her nose should do the rest. 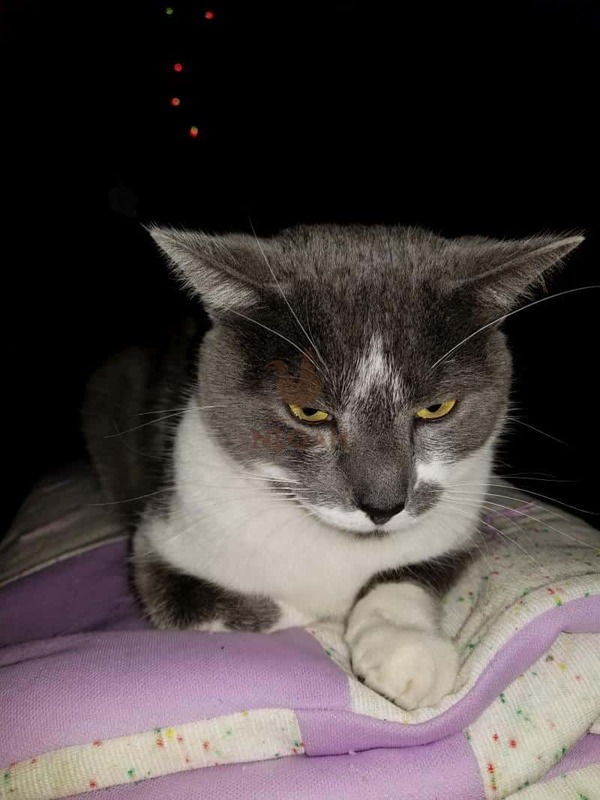 Often, just the fact that a cat has been in or near the house will be enough to deter a mouse from even trying to come inside. Mice can smell cats just as cats can smell mice so mice tend to avoid areas that have cat scents on them. Some dogs are also great mousers so look into specific breeds of dogs that are good mousers as well. Ultrasonic. Get a small unit that plugs into an outlet and emits an ultrasonic sound. This will keep the mice away but it’s safe for humans and other pets. If you wish, get several. It really does help and it takes up minimal electricity. Just plug the unit into an outlet and forget it. It’s that simple. You can either move this around the house or you can get several. They’re fairly inexpensive and you can find them online or in home improvement stores. Peppermint Oil. Mice hate strong odors so grab a bottle of peppermint oil from your supply of essential oils and a package of cotton balls. You can also use peppermint extract in a pinch. Apply a few drops of peppermint oil or peppermint extract to the cotton balls and stuff them in and around areas that mice tend to hide. The smell will drive them away. Be sure to refresh your cotton balls or replace them periodically to keep the mice at bay. Glue Traps. If you don’t mind catching live mice, you can use glue traps. These are readily available wherever mice traps are sold. The glue will catch the mice (and other insects) and you can then remove them to the outdoors. Either dispose of the glue trap or free the mouse, it’s all up to you. Just be sure to remove mice away from the house if you’re releasing them. Enclosed Mouse Traps. There are also a few different kinds of enclosed mouse traps. You can set these in and around the areas of your home where you’ve seen mice. Bait it with some peanut butter or a bit of smelly cheese and wait for the trap to spring. Enclosed traps are safe for other pets and you won’t have to worry about them setting off and getting a paw or nose. You can then either dispose of the full trap or, in some cases, release the mouse away from the house and reuse the trap. Keep Trash Away From House. Move your trash cans across the yard. This will help to keep mice and other rodents from invading the house. Mice and other insects love to get into the trash. It’s a haven for them to find food. By relocating the trash across the yard you’re helping to keep the pests away from the house. Feed Wild Birds. Encourage the birds of prey to enter your yard and they’ll dine on the mice and other rodents. Just watch small pets if they’re outside alone. Birds of prey can often be seen circling fields and the like so draw them into your area and watch the mice supply become depleted. Dried Snake Feces. If you have a source of dried snake feces this will also deter mice who think that there is a snake around. They won’t come near your home so spread these around mice entryways into your home. Be sure to refresh this every so often. Weather elements such as rain and snow will quickly deteriorate snake feces so you’ll want to “freshen” it up periodically. There’s nothing quite as relaxing as sitting on the patio and relaxing after a hard days work. Then, suddenly, those pesky mosquitoes come out and begin annoying you. Or maybe you have a sudden infestation of flies. Whatever the insect, here are some great ways to rid yourself of the pests and enjoy your evening. Dryer Sheets. Again, dryer sheets to the rescue. Put one on the patio table as a doily and relax. The insects hate the scent and will steer clear. You can also use clothes pins and pin a few up in and around the patio. Wear them in pockets or belt loops. Stuff them in small areas of the furniture (it will work double duty to keep the area smelling fresh as well). Focus on such items as chair cushions, pillows and even throws. You can also add an extra fabric softener sheet in the dryer when you’re going to be using a throw or pillow outside in the patio area. Citronella, Lavender, And Other Plants. Insects hate strong scents so bathe your patio in some smelly plants that smell good to you but deter the insects. Get some potted plants and set them in and around the area that you’re going to be sitting in. Choose such plants as citronella, lavender, basil, thyme, rosemary, and other strongly scented plants. Even marigolds work well to keep bugs at bay. Scented Candles. Invest in a few candles that are in scents mentioned above. It’s amazing what some scents will do to help keep insects at bay. Place candles in and around the patio area. Choose large versions and smaller sized versions and remember that even when the candles aren’t lit, they still have specific scents that you can smell. For added protection light the candles. Avoid Bodies Of Water. Bodies of stagnant water are the perfect breeding ground for insects, especially mosquitoes. Make sure to dump out rain-filled containers or move them away from the seating area so that they don’t become a breeding ground for more insects. Mosquitoes especially breed in bodies of water. That birdbath near the patio should be moved elsewhere or drained and refilled daily to avoid stagnation. Planters that have drain pans should also be drained daily to ensure that the water isn’t stagnating and becoming the ideal breeding ground for insects. Diatomaceous Earth. This works very well and it’s totally harmless to other pets and people. It is a fine powder that is simply sprinkled around. However, this fine powder will cut and scratch up the insects that walk in it and cause them to dehydrate. It’s lethal to them. It works well as a barrier indoors where it will remain dry. Sprinkle it in cracks, crevices, nooks and crannies and the like. Glue Traps And Fly Strips. Those glue traps that you use for the mice above, will also help to collect insects. Crickets, mosquitoes, flies and the like will all get stuck in the glue. Simply dispose of the glue traps when they are filled with insect corpses. Place these in and around the patio area. Just be sure to set them out of the main pathway to ensure that none of your guests accidentally put their hand or foot in one. You can also find “fly strips” that work just like a glue trap. These work best for flying insects. They are sticky and you can hang one or several of them out of the way. As insects fly by they are drawn to the scent on the strip and will land on it adhering themselves to the fly strip. After your fly strip is full of insect corpses you can simply place a bag over it and remove it allowing it to fall into the bag. Replace as needed during the entire season. Beer Traps Or Molasses. Crickets and other insects love beer. Simply leave a partially empty bottle on its side and the creatures will be drawn to it. They’ll go into to take a drink, however, they won’t be able to get out of the bottle and it’s an inexpensive way to save money. If you aren’t a drinker, you can also use molasses in the same fashion just save a few empty water bottles for this purpose. Mix one part of molasses with 10 parts of water and fill empty bottle part way. Lay the bottle on its side and the insects will be drawn to it and drown in the concoction. These methods work well indoors or outdoors. In a pinch, any sugary liquid will do but for best results, use the beer or molasses. Essential Oils. Try using essential oils like rosemary, sage, thyme, lavender, and peppermint on cotton balls in and around the house. 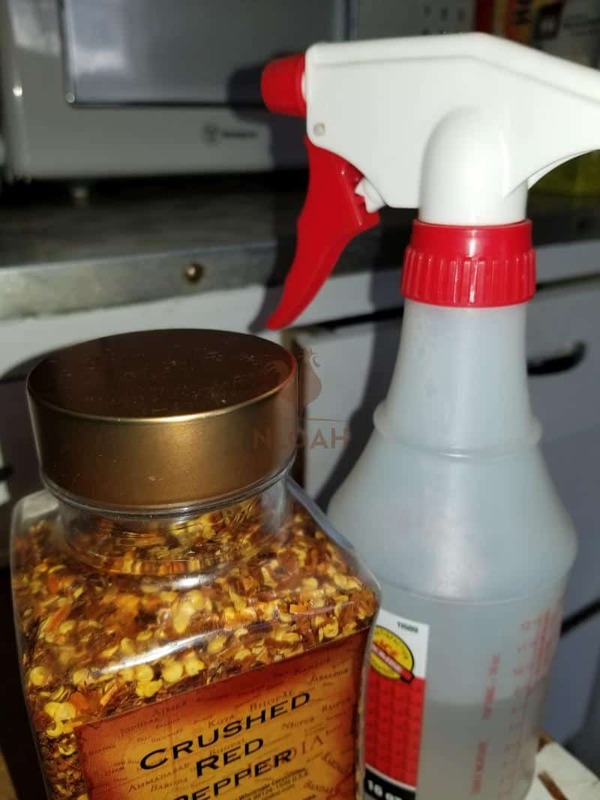 Clove oil will also kill many insects on contact so mix some clove oil up with some water and spray it into cracks, nooks, and crannies. In a pinch, strongly scented extracts will also work well. You can also create your own room sprays with essential oils. Simply dilute your favorite mix of oils into a spray bottle and spritz the air in the home. Be sure to spritz areas where insects may sneak in such as door frames, window frames, holes in the foundation and so on. Your home will smell fresh and clean and you’ll have less of an insect problem. Respray areas often to keep insects at bay. Always respray after a rain or snow as the humidity will quickly deplete the scent that you’re relying on to keep the insects at bay. Clean Counters And Floors. Sweep every day, more often if required to keep crumbs up off of the floor. Wipe down countertops and spray them with essential oil mixtures and dry with a towel or paper towel. The scent will help to repel them and if they’re wiped off there aren’t any crumbs to eat. Make it a habit to do this after every meal and before retiring for the night to help keep bugs and critters at bay. After a few days, this will become a habit and you’ll begin to see results. For outdoors areas such as patios, be sure to wipe the area down frequently with a strong scented solution. Sweep up after snacking outside and make sure that no bits of food are left behind. If feeding ducks or other creatures outside be sure to feed them far from the main patio area where family and friends will be relaxing. This will prevent any bits of food from drawing them into the main seating area. Borax. Mix a bit of borax with sugar and sprinkle wherever insects enter the home or frequent. This works like the diatomaceous earth and will dehydrate them as it breaks through their exoskeleton. 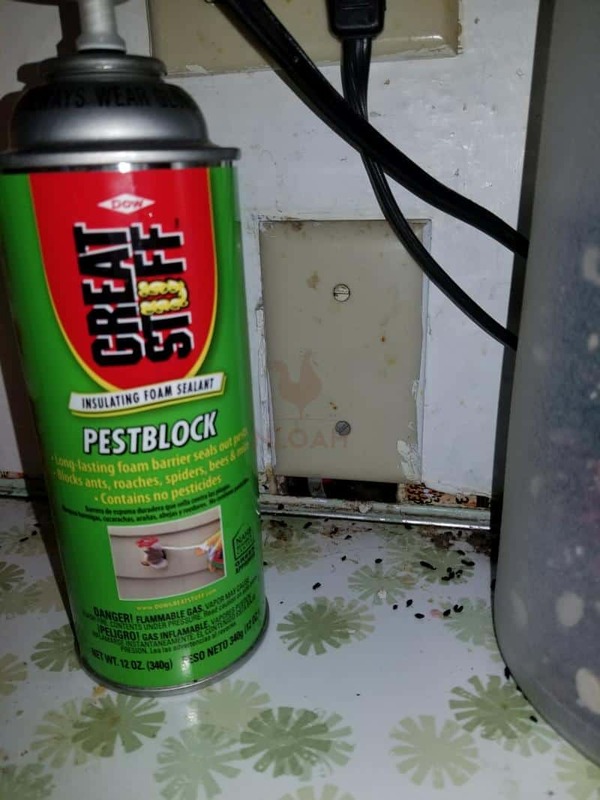 You can also sprinkle this behind counters, underneath of stoves and refrigerators, across thresholds, in nooks and crannies and anywhere else that you have an issue with insects. It works well for ants, crickets, and other insects that are annoying you. Homemade products are inexpensive and in most cases can be found in your own kitchen or laundry cupboard. Focus on locating entrances for best results and then apply the homemade remedies there. Remember to reapply often as these will quickly be depleted. Sprinkling the borax or diatomaceous earth works double because as the insects crawl through it they take some of it back to their nest where others will get it on them. This is a great method to help protect your home from such crawling or flying creatures that are annoying. Strong vinegar works well too. Use vinegar cleaning solutions as well as other strongly scented solution for cleaning in and around the home. The scent will dissipate quickly for humans however, it will still be there and very noticeable for insects and mice. Pets may snort and sneeze a bit more when smelling the vinegar but if they’re bothering your plants or tend to have accidents in a specific area of the home the vinegar will also help to keep them from that spot. I loathe mice in my house. So much so I, for a brief moment, contemplated bring the rat snake I found in my barn tack room over the weekend, into my house to take care of this particularly clever mouse I am determined to kill! I have had, until now, the best luck mixing together sugar, Borax, and some sprinkles of cheese to use as a homemade mice or rate killer. There are two downsides though, you have to make sure to place the mixture somewhere that household pets and children cannot get into it and consumer the Borax and cross your fingers and hope that after being poisoned, the rodent doesn’t curl up and die somewhere you cannot reach it and wind up with a very stinky house for a while. Steel wool does nothing for mice. They can chew through it. You need to use copper mesh. Mice are not affected by ultra sound devices. Neither are roaches. 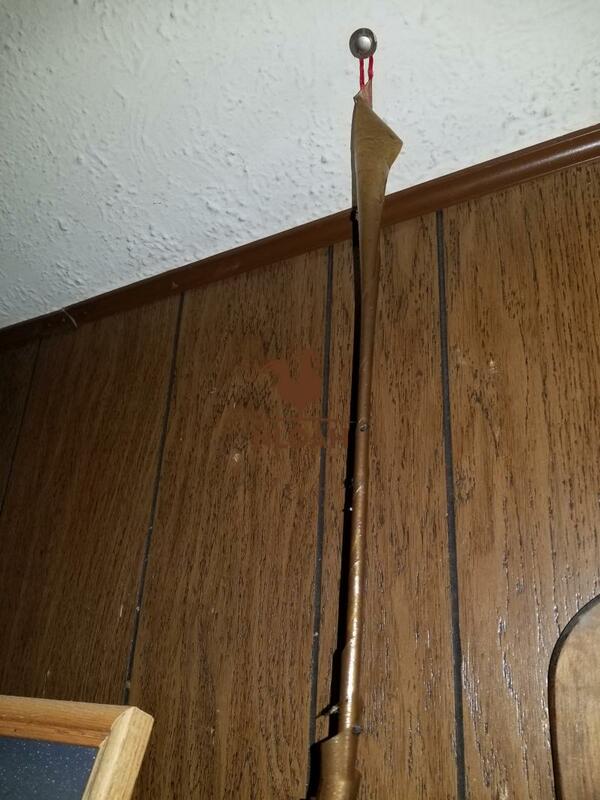 Spray foam will not stop mice. They chew through it.